Scotland has been in the world news the last couple of weeks and it has also been in my personal news too. I followed the vote for independence not because I hold an opinion, I don’t have enough information to form one, but because I have a personal reason for knowing the outcome, I own land in Scotland. Yes, that’s right; I have my own piece of heaven, the Motherland, as Hamilton and I think of it. Alexandra’s middle name is the family clan, McKay. We love to go to the local highland games to see our people. Last month a friend gifted me my own personal picnic spot near Oban. I hope to go visit and enjoy my tiny spot. But more importantly the land comes with a title. 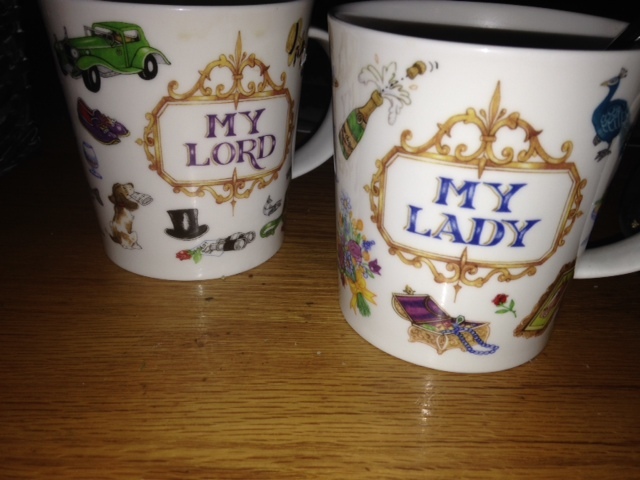 I’m now legally able to be referred to as Lady Evans. Thank goodness my status in the world is finally recognized. I’ve put up signs to remind my staff of the changes in my social standing. In 2009 Hamilton and I went to Scotland for the first time as part of a whirlwind tour around the UK. We each had a list of sacred sites we wanted to visit. Rosslyn Chapel was on the top of my list. That enigmatic site didn’t disappoint. I sat quietly soaking in the magic while William, the chapel’s cat, lay on my lap peacefully napping. We visited Edinburgh Castle, the memorial to Sir Walter Scott and the art museum before heading toward Inverness and Loch Ness. 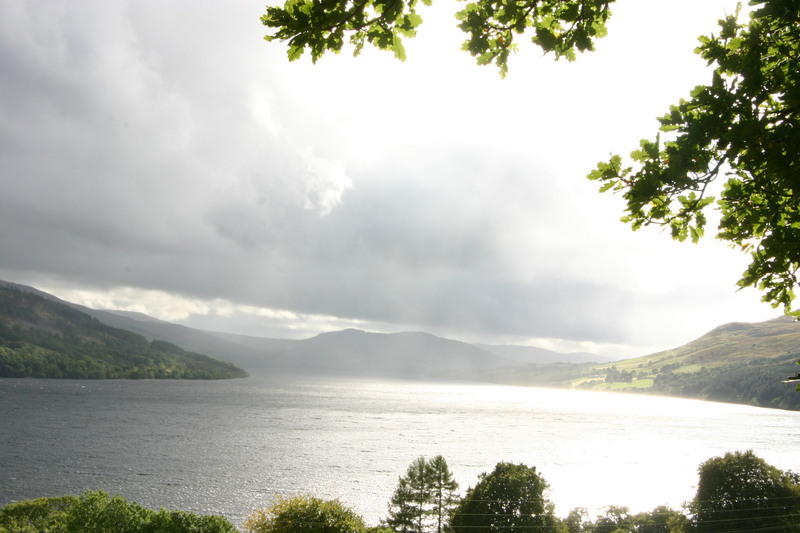 On the way to Inverness we spent the day in Perthshire to see the sacred sites of Glen Lyon. I had contacted Barry Dunsford to take us to some of the hidden gems in this magical world. We saw an ancient yew tree, Roman bridges, hermit caves, stone circles, crystal Fairy Mountains, Druid sites and mysterious chapels. Hamilton enjoyed being able to just gawk at the scenery instead of driving the narrow roads. 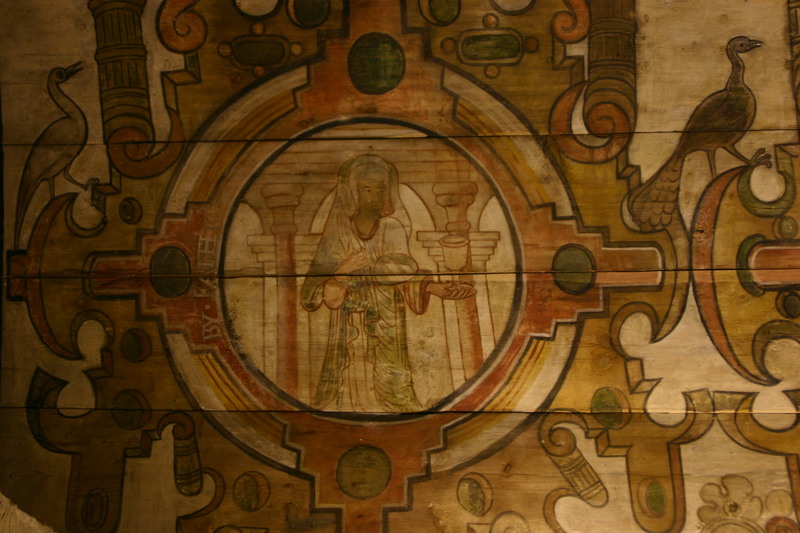 My favorite was the St. Mary’s Grail Chapel which has a beautiful painted ceiling with the lineage of Christ and mysterious Grail Knights. 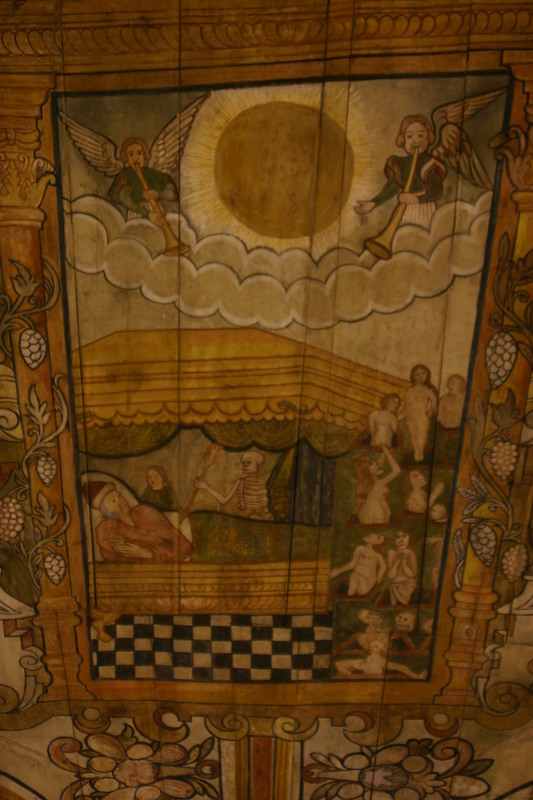 In the center of the ceiling was a large painting of “The Judgment” tarot card. It was unmistakable and a clear indication of a sacred place of esoteric knowledge. 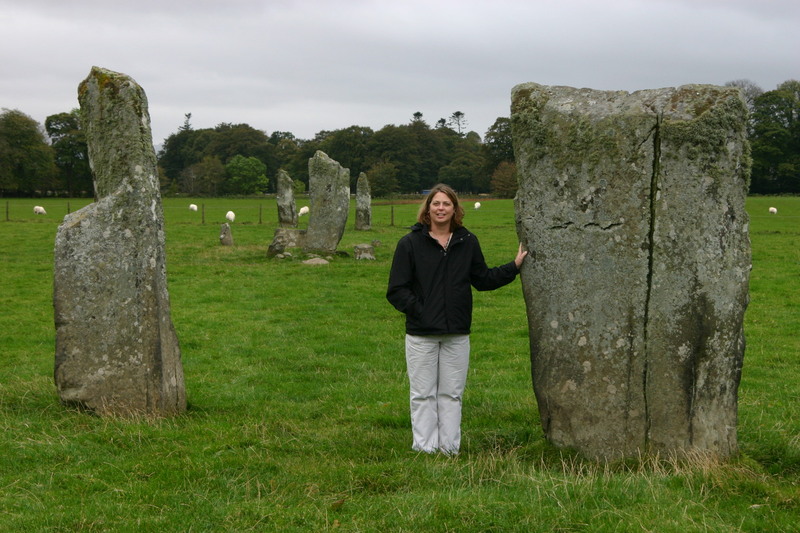 Later in the week we went to the stone circle of Kilmartin and took the ferry over to the island of Islay. Here we visited Hamilton’s sacred site the Lagavulin distillery. 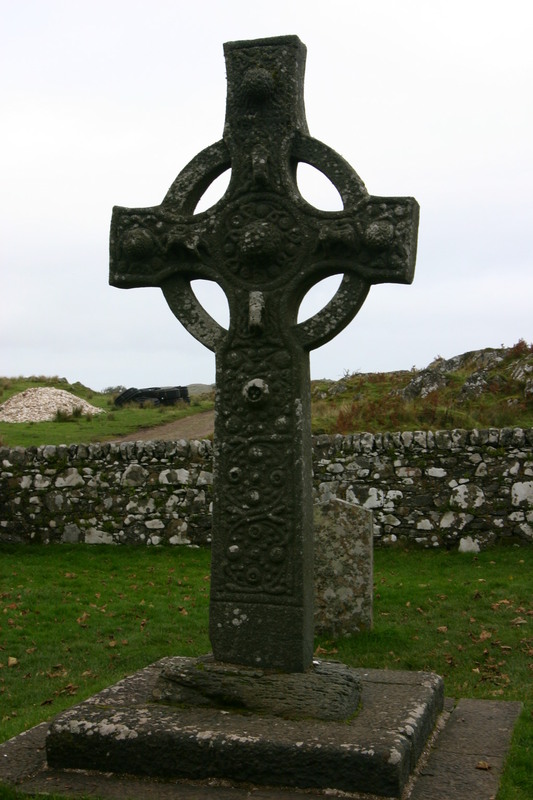 On Islay we also visited a tiny church with a special Celtic cross. In the grave yard the headstone of a little girl caught my eye. She was born September 26 and died ten years later on September 26. The day we were there was September 26. I said a special prayer for her. Scotland calls me, I have so much to discover and learn there. We just got a taste of Scotland and it is top of the list to revisit especially now that we have societal and financial interests at stake. I want to go to the holy island of Iona and the stones of Callenish. One mystery at a time, I want to become part of the wind and the land of my little plot of ground and soak up this sacred land. This entry was posted in England, Journeys, Sacred Sites, Tarot by theperpetualpilgrim. Bookmark the permalink.